RB Keilan Robinson‍ (5-9, 190) from St. John College HS in Washington DC. Robinson is committed to the Alabama, but St. Johns’ QBs coach Drew Aumavae told me in Hawaii that Robinson might visit. Aumavae is a West Coast guy and knows Johnny Nansen really well. 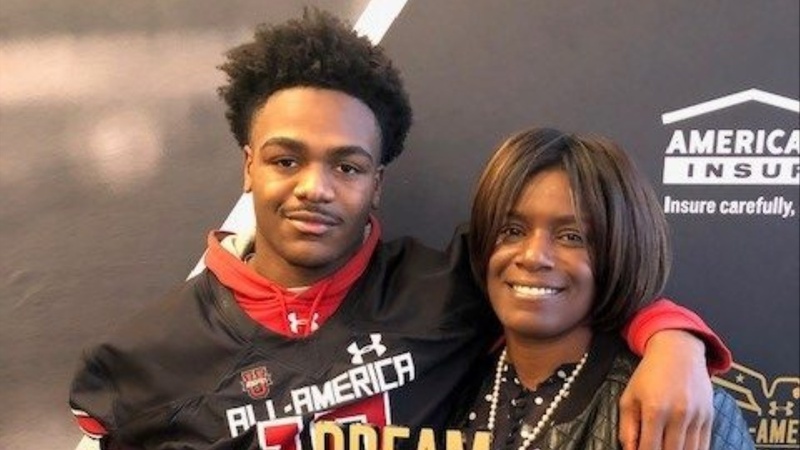 2020 five-star WR Rakim Jarrett‍ is Robinson’s teammate and Aumavae told us he has very serious interest in the Trojans. DB Sivi Nomura (6-1, 210) from Centennia HS. Nomura’s former teammate and close friend DE Drake Jackson‍ is enrolled at USC. DB Jayden Williams (6-1, 190) from Centennial HS. Also a former teammate of Drake Jackson and that connection in part led to the late offer for Williams. He’s gotten late offers from Washington and Oregon as well. He took an official visit to Washington last weekend. OL Hunter Hill‍ (6-6, 295) from Orem HS in SLC. Teammates with WR commit Puka Nacua‍ who will officially visit Oregon this weekend. CB Dorian Hewett‍ (6-1, 185) from North Shore HS in Texas. USC will be his final official visit. Hewett received recent offers from Washington and Oregon.